Cirrhosis of the liver is a deadly disease that comes with a host of unpleasant symptoms. This disease is one of the deadliest in our modern world and treatment tough. Therefore, it is important to take steps to prevent cirrhosis. A healthy lifestyle, including diet and exercise regimen, can help you prevent developing cirrhosis of the liver. 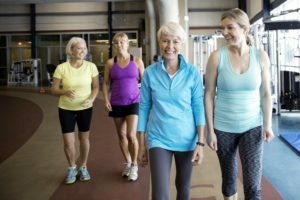 Below are the top 7 exercising tips to help you start a healthy and safe exercising plan to help prevent cirrhosis. According to a recent study published by The American Psychological Society, regular aerobic exercise can help increase healthy liver function. The study found that improvements in liver function are a result of increased production of the hormone adiponectin. This hormone curbs insulin resistance – a leading cause for fatty deposits developing in the liver. These fatty deposits lead to cirrhosis of the liver. Doing an hour of exercise each day at 85% of your maximum heart rate can help reduce the risk of cirrhosis. Walking is one of the easiest exercises you can do. Whether you walk on a treadmill or around your neighborhood, everyone has access to a walking path. Walking is an aerobic exercise and great for getting your blood pumping and heart rate elevated. Walking will activate your immune system and strengthen heart muscles. It is a low-impact exercise, which is great for people with joint issues or bad knees. Make sure you buy good quality and comfortable walking shoes. 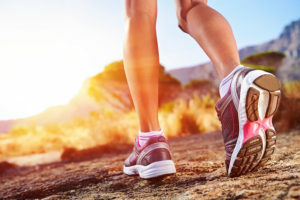 Owning good walking shoes also allow you to walk longer since your feet, calves, and legs will have better support. 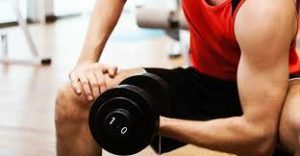 Lifting weights will optimize any exercise routine, whether you walk, jog, or use the elliptical. Strength training builds lean muscle, which helps your body burn more fat over the course of a day. Reducing body fat and replacing it with lean muscle can help your liver function better and put less stress on organs. Your liver is located in your abdomen. Having a higher percentage of fat around your stomach can increase stress on vital organs such as the liver and heart. Reducing fat around the abdomen helps prevent chronic diseases like cirrhosis. With 29 muscles making up your abs, performing exercises and strength training to your abdomen will go a long way in eliminating harmful stomach fat. Choosing workouts like yoga and Pilates that target the abdominal muscles are fun, easy, and low-impact. You will gain muscle and strength quickly if you train a few times a week. Dance therapy has recently gained popularity in the medical field. Most noteworthy is total body dance movement enhances all bodily functions, including the liver, and improves overall health. Dance is a wonderful and fun aerobic exercise that can be done anywhere. You can dance is the privacy of you own home or go to your local gym and take a specialized aerobic dance class. The elliptical machine is a great piece of workout equipment for low-impact exercise. Therefore, the elliptical can still make you sweat and get that heart pumping just as if you were running or doing another vigorous exercise. Doing interval training on the elliptical is a great way to mix up your workouts and burn more calories as your fitness level increases. Doing short 30 second spurts of hard work, followed by a 1 to 2 minute recovery period of light work, torches fat/calories. This type of training is performed for a shorter period of time and gives your body the “afterburn effect.” That means you can burn tons of extra calories for the rest of the day. A personal trainer is a great way for you to optimize your workouts. Furthermore, personal trainers can help customize an ideal workout plan for your fitness level, fitness goals, and overall health. Working in conjunction with you doctor and discussing your potential health risks can provide additional support for developing your best workout plan. Remember, getting up and doing any kind of movement is better than doing nothing at all. If you can only begin your workout plan walking 30 minutes twice a week, you’re doing more than many people. Gradually build your stamina and fitness level. Work up to incorporating lifting weights, doing yoga, and interval training. We all have to start somewhere and where ever you decide to start is doing your body and liver good.